Download Windows XP Service Pack 3 from FileForum now (316 MB). 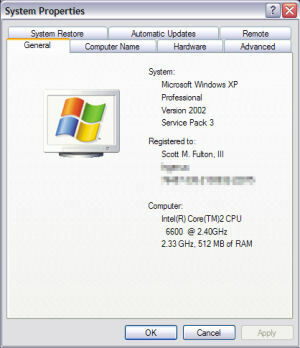 1:20 pm EDT April 29, 2008 - As expected, the self-extracting .EXE version of Windows XP Service Pack 3 was made available to the general public by Microsoft this morning. However, due to a last minute problem, the official release to Windows Update and the Microsoft Download Center was delayed. A company blog post last week stated SP3 would be released for manual download today. A check of Microsoft Update from Windows XP-based systems this morning shows that new components belonging to XP Service Pack 3 have not yet been made available. SP3 was made available to MSDN subscribers on schedule last Wednesday. However, Microsoft says it has since uncovered a compatibility issue between Dymanics Retail Management System (RMS) and Windows XP SP3. Windows Vista SP1 is also affected, but few customers are likely running Dynamics RMS on the new operating system. The product is used by small and midsize customers to manage their retail chains. "In order to make sure customers have the best possible experience we have decided to delay releasing Windows XP SP3 to Windows Update and Microsoft Download Center," a company spokesperson told BetaNews. 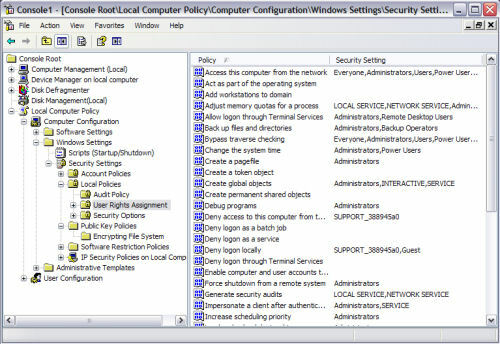 "To help protect our customers, we plan to put filtering in place shortly to prevent Windows Update from offering both service packs to systems running Microsoft Dynamics RMS. 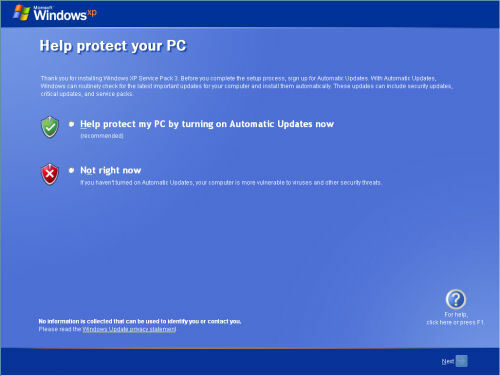 Once filtering is in place, we expect to release Windows XP SP3 to Windows Update and Download Center." The fix is currently in testing and Microsoft expects it to be available soon, but provided no specific timeframe. BetaNews will be testing the integrity of the cabinet file against our virtual XP-based systems throughout the morning. 12:11 pm EDT April 29, 2008 - Immediately after installation, the cabinet file for XP SP3 gives it one more try at installing Automatic Updates, which may come as no surprise to long-time XP users. 12:37 pm EDT - One Vista-ish feature we were able to locate for updated copies of XP Professional was Microsoft Management Console 3.0, which allows more immediate access to system features such as disk management and fragmentation, and local policy settings. You launch it from the "Run" window, using the command mmc. The cabinet file for SP3 does not include Silverlight 1.0, as some suspected it might. Windows Media Player 11 must also still be downloaded separately.